VROOM! VROOM! 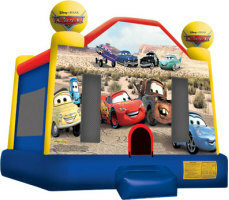 The Disney Cars movie themed jump. Certainly a hit at any party.